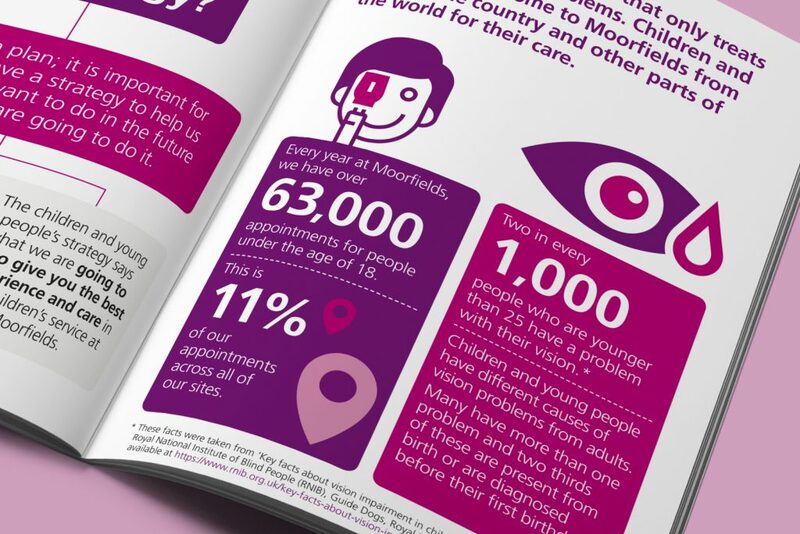 Moorfields Eye Hospital NHS Foundation Trust is the leading provider of eye health services in the UK and a world-class centre of excellence for ophthalmic research and education. 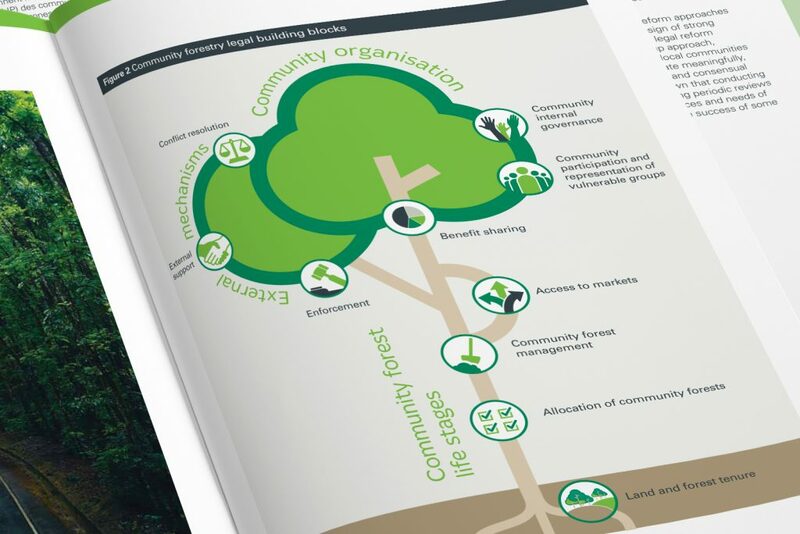 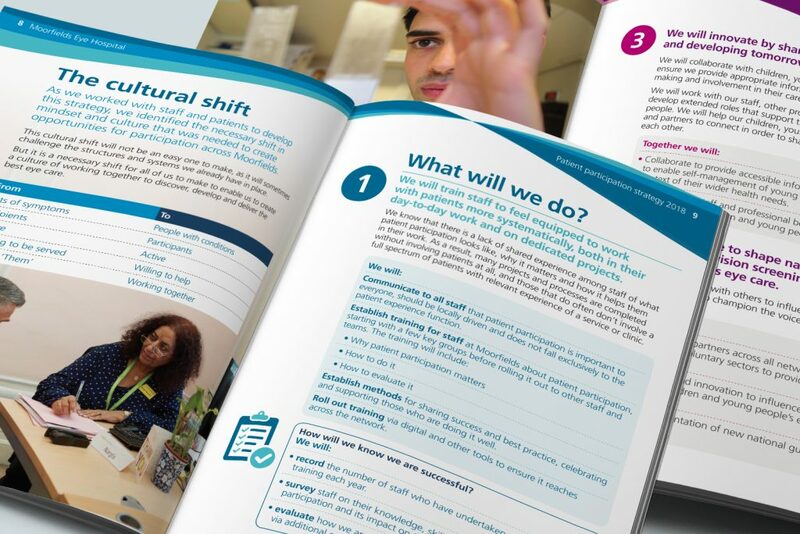 To accompany and support their five-year strategy, a suite of online and printed strategy publications was required for different areas of the trust each would set out clear strategic objectives for the relevant area. 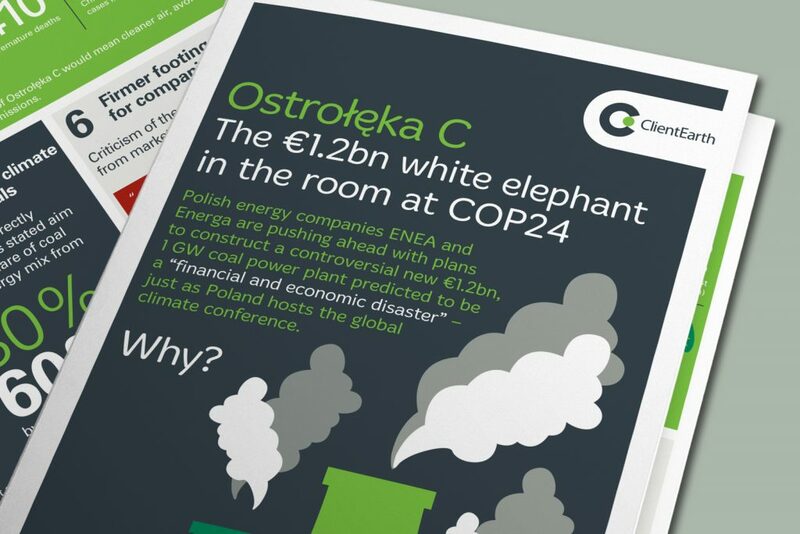 We designed two16 page A4 publications with supporting literature and pull-up banner stands. 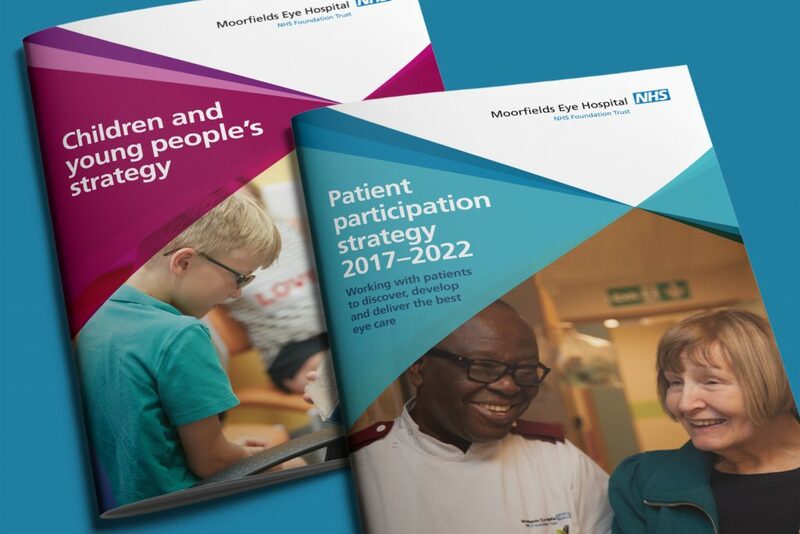 One set was aimed at both staff and children and young people and the other aimed at staff and adult patients. 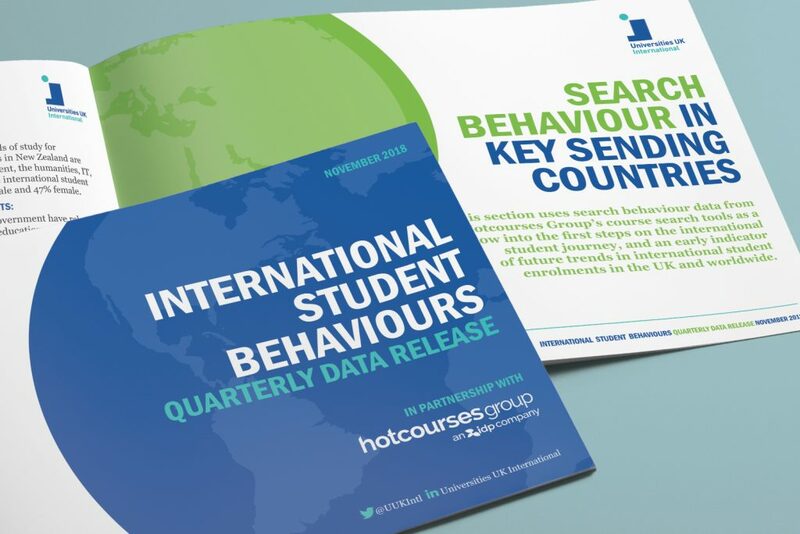 We used a colour scheme to distinguish each set. 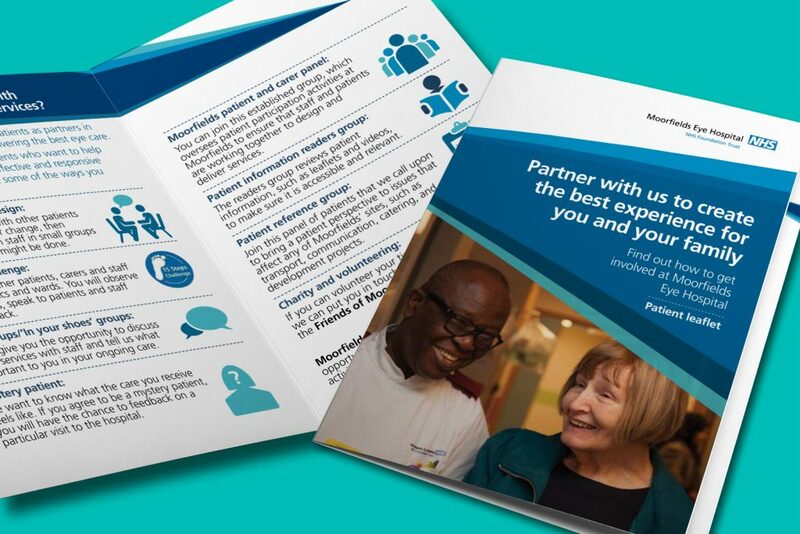 They adhered to corporate identity guidelines and were engaging and attractive using strong patient led imagery and 14-point text for accessibility.